Wow. 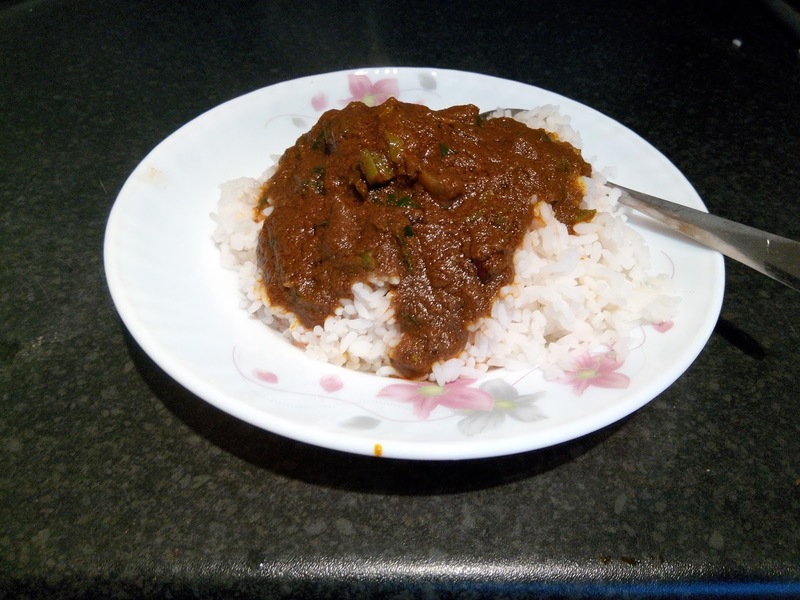 I can't believe I just devoured a plate of my most loved Nigerian meal: Rice and Ofe akwu (Banga soup as some call it) here in Nottingham and that prepared by yours truly. The wonderful thing about it is that I didn't have to break my back to get any of the materials I used. Actually, I've been preparing Nigerian meals (Semolina with Egusi or Ogbono soup, plantain porridge, beans and yam, e.t.c) since I came to the UK with ingredients I brought from Nigeria (crayfish, Egusi, Ogbono & Cameroon pepper) using spinach as my ugu, but I never envisaged that it was possible to prepare Ofe akwu here. 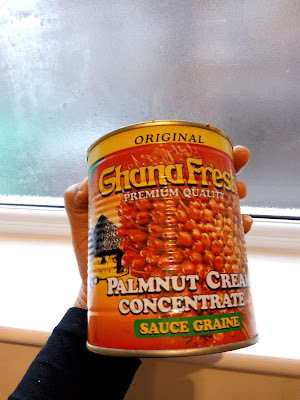 Where was I to get palm kernel nuts? Even in Nigeria Ofe akwu cooking process is really tedious. 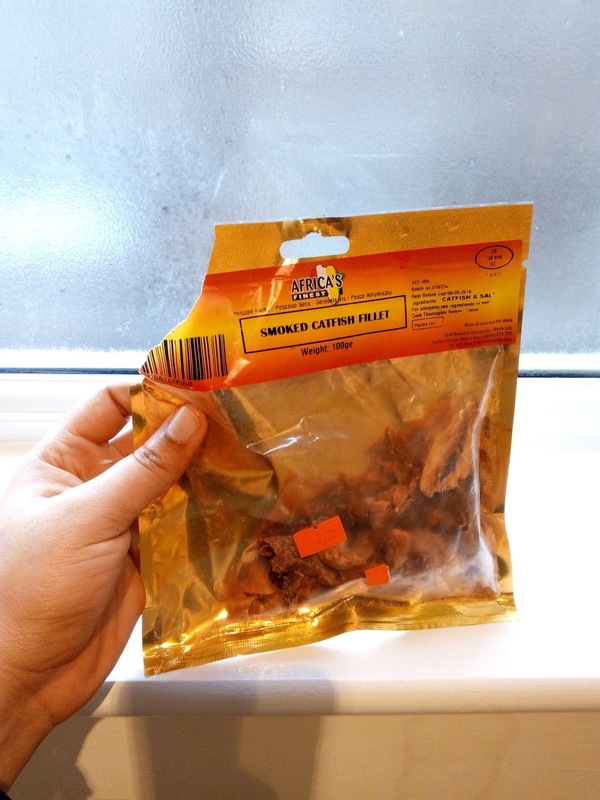 Now you can imagine how surprised and elated I was three weeks ago to see already processed akwu (palm kernel) sold at a shop where I had stopped to buy meat. So I decided to try it out today and I am very excited at what I made out of it. I'm so happy I didn't have to go through the ordeal of boiling akwu, pounding it, and extracting the oil. That onerous process had already been surmounted by one tin of palm concentrate from Ghana. How brilliant! Some people really know how to create value. Usually I love to have a lot of veggies in my meals, but since I couldn't go shopping this weekend, I had to make use of my left over. If I were in Nigeria, scent leaf (Arigbe or Nchanwu) would have been the best. I haven't looked for it here. But it still turned out really nice with spinach. 4. Beef (I didn't have so much as I haven't shopped for groceries in 2 weeks). I used my 4 pieces left over though. I always prefer beef for Ofe akwu to chicken. 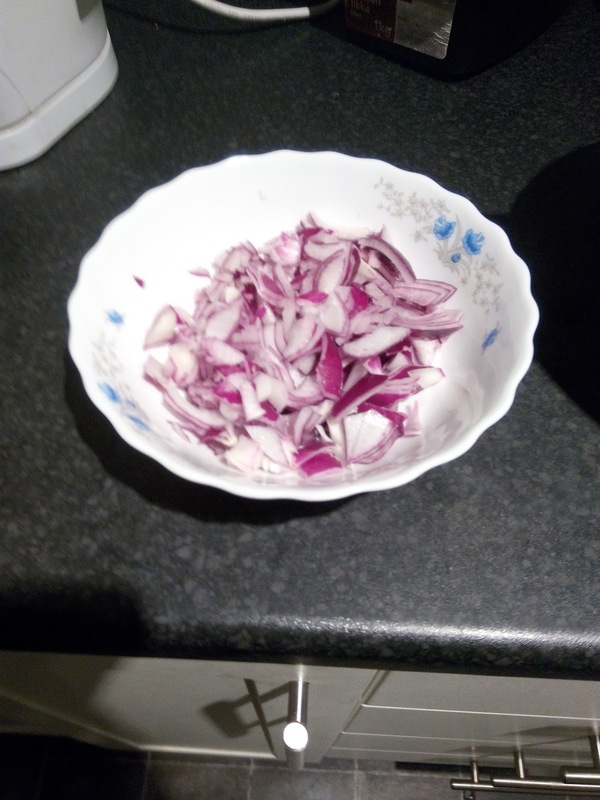 I boiled the meat with beef seasoning and some onions and salt to taste. 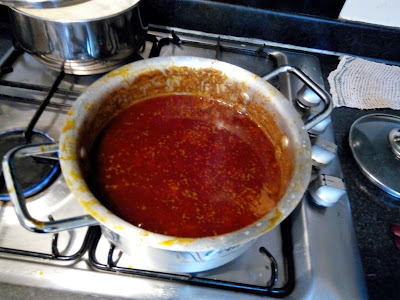 Then I emptied the palm concentrate into an empty pot, added a little water, stirred and brought to boil. Here is how it looked after that (just as if I manually extracted the oil from the palm kernels). Then I added my meat with its stock, dried fish, crayfish, pepper, Knorr cubes and salt. Allowed to boil a little while, before adding onions. 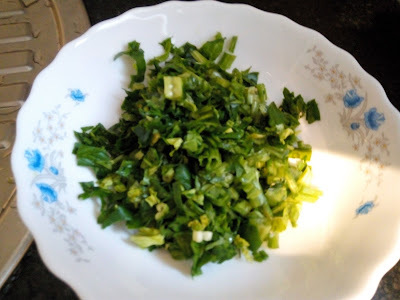 Last of all, I sprinkled the chopped spinach on it, turned and voila! 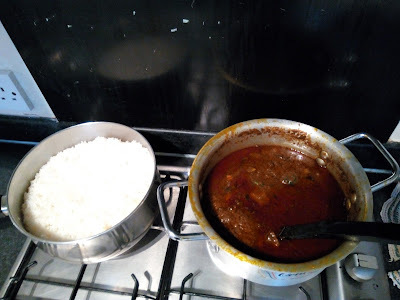 Food was ready to be served with already boiled white rice. Are there differences in how you cook yours, I would like to know. Please leave a comment below. 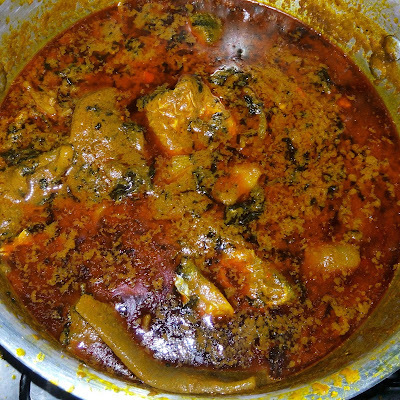 Now with more preparation, I made Banga soup again, this time with Bitter leaves, fish and cow skin, here's the outcome. Check out my other meals at www.instagram.com/afribelly and place your order.